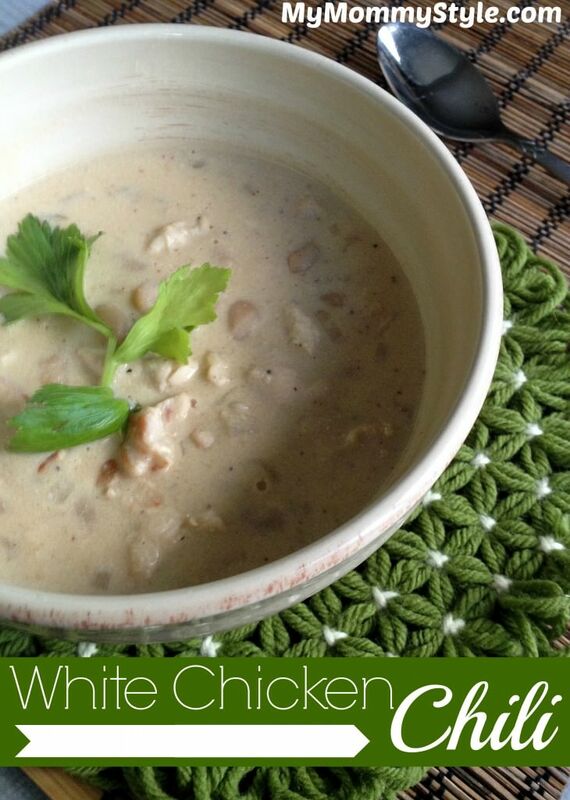 It’s my favorite time of year as the air starts to get chilly and a warm soup sounds just right that I knew I had to make and share this recipe with you. I was first introduced to this recipe from my dear friend Bridget from www.bridgeywidgey.com when I was looking for the perfect chili to serve at my son’s pirate themed birthday party. It is hearty, creamy, and honestly one of the best chili’s I have ever tasted. I did make some adjustments to the original recipe to make it a little more healthy. This did not compromise the taste at all it is soooo good. If you have a small family like mine I would suggest halving the recipe or simply freezing half of it once it’s made to save for later. With the baby on it’s way I thought this would be a good option for us when I am not quite ready to get into cooking again. You can cook the chicken to your preference by boiling, microwaving, grilling or sauteing. I preferred to saute the meat after defrosting. Chop chicken into 1/2″ bite size pieces and set aside in the main pot you’ll be using for your chili. Add beans. Saute onions in butter or olive oil and set aside. In separate heavy pan, melt 4 tablspoons butter and whisk in the flour without browning. Stir in onions and gradually add broth and half and half make sure to whisk constantly so that you don’t have the roux sauce sticking or burning as you add the liquid. Simmer 5 minutes to allow it to thicken and then add it to your chili pot. Stir in seasonings, chilies, cheese and simmer stirring occasionally for 20 minutes. stir in sour cream just before serving. You can make this ahead and allow it to simmer in a crock pot if you’d like and it heats up and serves a crowd really well!